This entry was posted in Health Care on 10/19/2017 by Alejandra Vazquez. You’re likely most familiar with common forms of insurance, like life and car insurance. 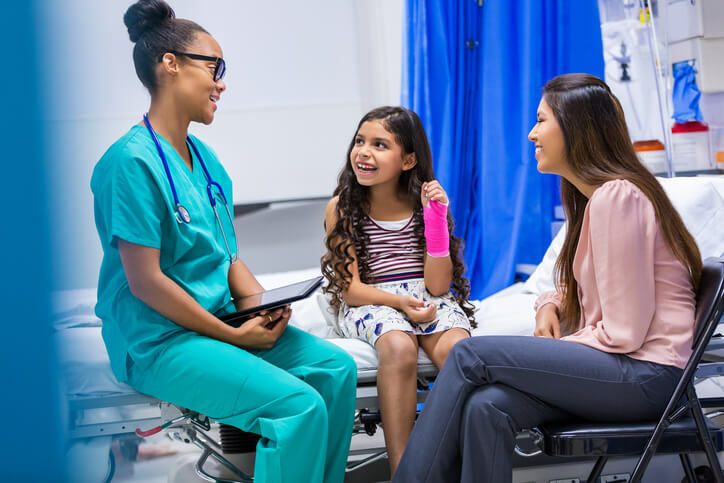 If you’ve never heard of hospital indemnity insurance, you’ve been missing out on a valuable form of protection almost everyone can benefit from. This type of insurance pays out every time you check into a hospital. Still, that doesn’t mean you can use it to replace health insurance. Hospital indemnity plans work best when used in conjunction with both health and life insurance plans. Find out how to get all the complementary coverage you need, and why you still need a hospital indemnity policy no matter how much you feel protected by your current insurance. This type of supplementary and optional insurance policy is not designed to the take the place of any other type of insurance. Instead, it works to fill in the gaps and provide extra support that you may find helpful during a particularly challenging time. You receive a fixed amount based on the length of your stay, and it may not be enough to cover every single cost related to your care. It also won’t pay any more for follow up visits to the doctor, and it comes with plenty of limitations on what’s covered. What it does cover is what your affordable health insurance usually fails to pay for, such as excluded costs, fees that go over your annual or lifetime limits, and more. You receive the benefit yourself as cash, allowing you to apply it to your medical bills as you see fit. This makes up for the limited scope of the insurance, giving you greater flexibility in paying for what would otherwise be out-of-pocket expenses. Most people assume that any decent health insurance plan will cover all of the costs associated with a stay in the hospital. Yet you’d be surprised at how many specific services are excluded from many plans, such as payment for over the counter medications issued by the hospital. When hospitals are charging $40 or more for a single aspirin, you can quickly stack up excluded costs that leave you with hefty bills to pay even after your high risk insurance kicks in to cover everything else. While you can’t replace health coverage with hospital indemnity insurance, you can carry it without having a health plan. This can act as an important form of catastrophic student insurance for people who would be unable to otherwise afford a hospital stay with daily rates hovering around $2000 on average across the country. If you’ve taken an affordable health insurance policy to save monthly, it most likely has some coverage gaps. Check out exactly what’s excluded and where the total payment limitations are set, and you’ll probably discover you’d benefit greatly from a little extra protection designed specifically for hospital stays. When you work with Freeway Insurance, it’s no struggle to afford both the health insurance you need for routine doctor visits and the hospital indemnity protection that helps in emergencies. We have options to fit every budget and coverage level, and insuring whole families is just as easy with our help. Stop by your local Freeway Insurance office today, or call us at (800) 777-5620.